As a US veteran, you have spent years serving your country and gaining a wealth of knowledge along the way. As you prepare to get back to civilian life, you will find that your time in the US armed forces has equipped you with the valuable skills and experience needed to succeed in a wide range of careers and fields. But an increasing number of careers require higher education degrees or additional training in addition to work experience. A post- secondary degree can make you more valuable to employers and may even help you earn you a higher salary. Going back to school on its own can be difficult and as a veteran, you likely face other unique hurdles. Fortunately, many schools have staff and some even entire departments dedicated to making the process of going back to school for veterans as seamless as possible. In addition to thinking about the right career and schools, you will also consider financial aid possibilities. 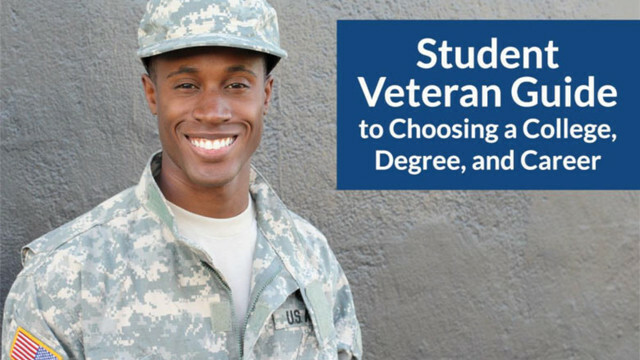 As a student veteran, you have many options to help pay for school--such as the Montgomery GI Bill--and veteran scholarships and veteran dependent scholarships and grants from many organizations. Going back to school to get a degree to further your career after the military is one of the most challenging and exciting decisions you will make. You can learn more about choosing a great school and degree and important financial aid opportunities in this guide. An important part of getting a quality education is choosing a school to fit your needs and objectives. When deciding on a school, you may be swayed by unique factors that matter to you as a veteran. For example, do you feel more at home in big bustling schools or smaller universities that foster a sense of community? Do you want to be in the city, a rural area or a more suburban setting for the next few years? But first you should consider what degree to get. You should think about your strengths, what you are you passionate about and what degree can open doors to a fulfilling career for you. Ideally your major should address all these criteria. Once you have an idea about what you would like to study, you should think about several things when choosing a school. How the school ranks for the college major you are considering. A top school for an international studies degree may differ from a good school for a computer science program. In addition to the strength of the program, you should also look for other signs of academic rigor such as graduation rates or student-to-faculty ratios. Seek out advice from counselors and teachers if you are unsure. Make a list of schools based on factors you consider most important such as size, location, student life, etc. Cost may be an important component of your decision. Consider the financial aid opportunities available to you. If costs are a concern, student veterans can look into community colleges for the first two years to take prerequisite courses and then switch to another school to complete their degree. Reach out to school faculty and the department you are interested in for more information. Research job connections, networking opportunities and how well the school is connected to major employers in your field. Visit the schools if possible. If you plan to transfer between schools during your education, it’s important to consider whether your school is nationally or regionally accredited. Finally student veterans should look into how well the colleges cater to veterans and their needs. Choosing colleges for military service members and student veterans is not always easy. You have to consider all the traditional factors related to choosing a school and also evaluate how well it caters to the student veteran population. Have a significant student veterans population. Have professionals or a department dedicated to veteran affairs. Participate in the Yellow Ribbon Program: A program which helps student veterans attend more expensive schools by covering costs not included in other VA benefits. Abide by the Principles of Excellence: a set of guidelines for schools that receive federal funding to encourage them to provide dedicated and specialized educational support and accommodation to student veterans and be more transparent in their recruiting practices. Have school groups or chapters of associations for veterans. Accept ACE credit transfer which can translate some of your prior military experience and training into full-fledged college credit. Aim to Apply the 8 Keys to Success which the Departments of Education, Veterans Affairs, and Defense designed to help colleges and universities create conducive environments for veteran success. Provide community resources and networking opportunities for veterans and their spouses. Have student veterans lounges and point of contact professionals in different departments who can help address veteran questions or concerns. Veterans come from all walks of life and have a multitude of skills and educational backgrounds. Many also acquired significant training and skills in the military and can choose to major and work in virtually any field. But there are some careers which may be a more natural fit for for veterans given their past experience and training. Criminal Justice: Many service members and student veterans are attracted to the criminal justice and law enforcement field because even if they left the military, they still long to use their skills to serve and protect. A degree in Criminal justice can help give them an edge in the job market. Medical field: Many veterans learn important basic medical care skills during training and may have developed them throughout their service. They can choose to further that education with a degree in nursing or related degree. Computer Science and Information Technology: Technology has permeated every facet of life and the military is no exception. The military is continuously working on modernizing its systems and networks and a degree in computer science can help veterans build on skills they learned and access lucrative and challenging careers. Teaching: Many service members are natural leaders and mentors and may find a career in teaching to be a rewarding experience. The program Troops to Teachers listed in the scholarships section below may be worth exploring. Skilled trade jobs: A lot of military work is manual and many veterans may choose to expand their skills set through a technical or vocational program which can lead to a great career in dozens of occupations such as welding, carpentry, automotive painting and more. Aviation: Military service members may have acquired valuable skills in the dynamic fields of aeronautics and aviation during their military training and may already be familiar with important industry regulations and requirements. They can further their education to become an air traffic controller or aircraft maintenance engineer. Business: During their service, veterans may have acquired the management skills needed to successfully lead teams, projects and operations to completion. After the military, they may want to become a business leader or start their own business. A degree in business administration or a related field can can help and be a valuable addition to a veteran’s resume. Many schools are eager to help veterans succeed in both academics and student life, and have student groups which can help veterans find each other to build a strong support system as they move from military to civilian life. School career centers can be an important resource for student veterans as they are knowledgeable about the local job market, may have established contacts with local employers and can provide you with important insight about your career transition. It is important to start using the career center long before your final year in college as you can find out about valuable opportunities for internships, training and networking to build long-term career relationships and contacts. If you served in the Armed Forces and were honorably discharged, you have earned access to many educational financial aid opportunities. Getting a high quality education and making the most out of your time in college should be your first priority, not costs. The most important programs to explore for student veterans are the: GI Montgomery Bill and the Post-9/11 Bill, but there are also grants provided by organizations and the federal government to cover any costs not included in these bills. Since 1944, millions of veterans have gone back to school using the Montgomery GI Bill. This bill provides students with a direct monthly payment they can use to cover tuition, fees, books and other costs. Veterans and service members who have been on active duty for at least two years can benefits from this program and can receive up to 36 months of benefits for up to 10 years after retirement or honorable discharge, however this number can vary on a case by case basis. Their college and education type. Whether they participate in the $600 buy-up program which allows beneficiaries to get as much as $5,400 more in GI Bill benefits with an additional $600 contribution. There are several categories to qualify for Montgomery GI Benefits, but in all cases, beneficiaries must have at least a high school diploma, GED or at least 12 hours of high school credit, in addition to an honorable discharge from service. Categories of beneficiaries for the Montgomery GI Bill Active Duty (MGIB-AD). Like the Montgomery GI Bill, the Post-9/11 bill is an important educational benefit provided by the Department of Veterans Affairs to significantly alleviate the cost of school for veterans. Introduced in 2009, it offers financial aid for veterans who served on or after September 11, 2001 and helps pay for full tuition and fees at in-state public schools and up to $22,805.34 for private, out of state or foreign schools. It also provides a stipend for books of up to $1,000 and a housing stipend equivalent to the Department of Defense Basic Assistance Housing (BAH) allowance for E-5 level employees with dependents and can vary according to zip code. Beneficiaries attending foreign schools can obtain $1,681 per month and those pursuing exclusive online training can receive $840.50 per month. To qualify for these generous benefits, veterans must have served for at least 90 aggregate days or 30 days and obtained an honorable discharge following a service-related disability. To get full 100% benefits, veterans must have served for at least 36 months starting on or after September 11, 2001. Student veterans who want to further their educations at more expensive schools may not be able to cover their tuition and fees fully with the Post-9/11 bill as there is a maximum annual threshold of $22,508. To offset additional costs, veterans can explore the Yellow Ribbon Program if they are eligible. The Yellow Ribbon program allows participating schools to provide additional funds or grants directly to students for tuition and fees.The amount contributed by the schools is then matched dollar per dollar by the Department of Veterans Affairs. This allows many students to go to top schools without disbursing a cent. American University participates in the Yellow Ribbon Program and the Post-9/11 GI Bill only covers a portion of full tuition of fees and costs associated with a degree at AU. But thanks to the Yellow Ribbon Program, AU and VA are able to offset the remaining tuition and fees for students. If you look at the chart above, you can see that for a Master’s Degree in any field, AU will pay $10,500 per student per year for tuition and fees. Veterans Affairs matches that amount and the total additional tuition paid to you would be $21,000 per year; more than enough to cover the extra costs of tuition and fees of $20,298 left over by the GI Bill. Many private universities offer generous Yellow Ribbon benefits that you can explore, but be sure you are eligible; only veterans with 100% of Post-9/11 GI Bill benefits can apply. You must also renew your benefits every academic year. E. Should I Choose the Montgomery GI Bill or Post 9/11 GI Bill? Time to use Benefits 10 years 15 years but there are new provisions for longer time under the new Forever GI Bill for members released from duty on or after 2013, and some some eligible children and spouses of deceased service members. Tutoring Tutorial assistance is available for students attending at least half-time and have a deficiency in a subject which requires tutoring. They can obtain reimbursement up to $100 a month for a maximum of $1200 per year Yes, up to $100 per month for tutoring for a maximum of $1200 a year. Eligible education programs Included Undergraduate and graduate degrees, licensing and certification reimbursement, vocational/technical training, national testing reimbursement, flight training, on-the-job training, cooperative training, distance learning, correspondence training, entrepreneurship training Undergraduate and graduate degrees, licensing and certification reimbursement, vocational/technical training, national testing reimbursement, flight training, on-the-job training, cooperative training, distance learning, correspondence training, entrepreneurship training. 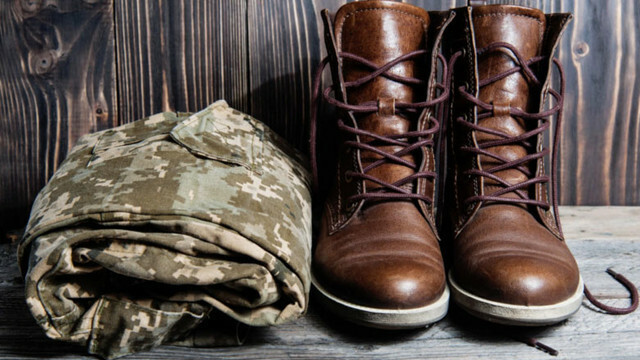 After using your GI Bill benefits, you may still need financial assistance to offset any leftover costs. There are many college grants for veterans you can explore. Many veteran students who receive GI Bill benefits often forget that they are still eligible for federal student aid to fund their educations. Federal Pell grants are payments made to students who meet certain eligibility requirements, usually undergraduates. The maximum Federal Pell Grant can vary from year to year. For the 2017-2018 academic year, the maximum grant award is $5,920 but the amount you receive depends on tuition costs, whether you’re a full time or part time student, your financial need and how long you plan to study for. You can only get Federal Pell grants for a maximum of 12 semesters. If you lost a parent or guardian military service member in Iraq or Afghanistan, you may obtain a larger Federal Pell grant if you were 24 years of age or younger and were attending school at least part time at the time of your parent or guardian's death. If you don’t qualify for a larger Federal Pell grant but lost a parent or guardian in Iraq and Afghanistan and meet eligibility requirements. you may be eligible for the Iraq and Afghanistan service grant. The Air Force Aid Society General Henry H. Arnold Education Grant provides $2,000 grants to children of active duty, veteran or deceased members of the Air Force. The Coast Guard Mutual Assistance Supplemental Education Grant provides small awards of $250 for members of the Coast Guard and their family members to help pay for college fees. In addition, many states offer their own student federal aid programs such as the Veterans Tuition Awards in the state of New York which provides awards for part time and full time awards for eligible veterans. The Department of Veterans Affairs GI bills constitute a major financial aid resource for veterans. However, there are many eligibility requirements and thresholds which can leave students still in need of financial assistance. Thankfully, there are many organizations dedicated to helping veterans get the training they need through veteran scholarships and veteran dependent scholarships. The AMVETS National Scholarship Program awards military scholarships of $1000 to $12000 to veterans, active duty, National Guard and Reserves and their children and grandchildren to pursue higher degrees or training. The Imagine America Military Award provides benefits of $1,000 to retired or honorably discharged veterans, active duty service members, members of the National Guard and Reserves to pursue training opportunities at participating colleges nationwide. The Army Women’s Foundation Legacy Scholarship awards scholarships of $1,000 to $2,500 to past and present women veterans, active duty service members, National Guard and Reserves and all lineal descendents to pursue undergraduate, graduate degrees, community college coursework and certification. Troops to Teachers helps veterans move back to civilian life by giving them the tools they need and up to $10,000 in financial assistance to pursue a teaching career. The program is open to current active duty members, veterans and components of the Reserve and National Guard who meet certain eligibility requirements in their education and military service. Pat Tillman Scholarships are highly competitive and are awarded to veterans and active duty members of all branches of the military including the Reserves and National Guard. Up to $10,000 in financial assistance is awarded to Tillaman scholars annually to pursue a full-time, degree-seeking education. Dolphin scholarships target the children and spouses of former or current members of the US Navy Submarine Force who served on active duty for 8-10 years. Awards of up to $13,500 are awarded to students seeking an undergraduate degree or vocational and technical training certificates. American Legion scholarships offer up to $20,000 to children whose parents died on the line of duty on or after September 11, 2001 and for children of post-9/11 veterans who present a combined VA disability rating of 50 percent or higher. The award can be used for tuition and other expenses for undergraduate and graduate degrees at nonprofit regionally accredited universities. Google partners with Student Veterans of America to provide scholarships of up to $10,000 to honorably discharged veterans who are currently enrolled or want to pursue an undergraduate or graduate degree in a field related to computer science. Deciding to get an education or additional training after your military service can be an important first step to launching a successful civilian career. It can allow you to build on knowledge acquired in the military and provide you with tools to propel you towards new challenges and opportunities. When considering an education it's important to consider what school and degree are right for you and can help you gain the skills you need for a fulfilling career. You will also need to evaluate whether a school is veteran-friendly and can provide you with the support and resources to meet your unique needs as a veteran. Cost is an important factor to consider and as a veteran of the military, you have multitude financial aid opportunities available to you offered by the government through the Montgomery GI Bill, the Post-9/11 GI Bill and federal student aid grants like the Federal Pell grants, and also a number of scholarships awarded by established veteran organizations like AMVETS and the Army’s Women Foundation or even companies like Google. As you can see, there are many resources to support you on your journey towards success as a US veteran, you just have to know how to harness them.